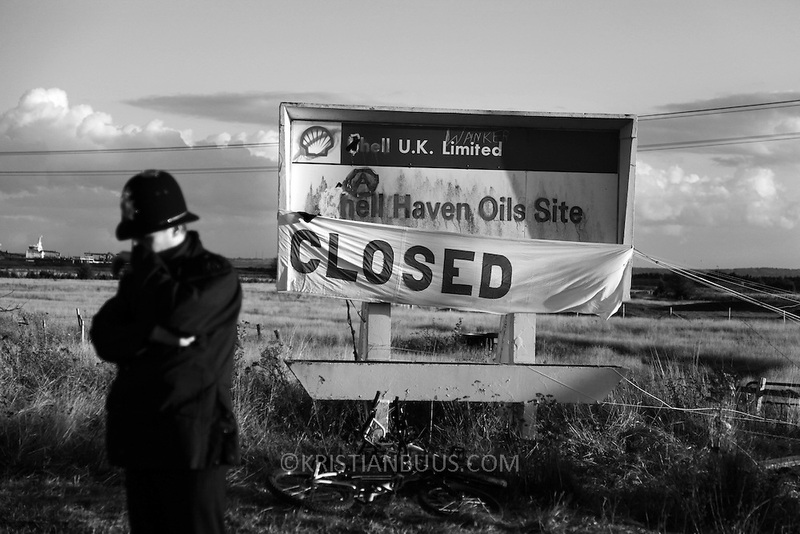 The sign for Shell Haven Oil Site defaced with green paint. An oil tanker can be seen in the back ground behind the depondend police officer...Crude Oil Awakening is a coalition of climate change activist groups. On Saturday Oct 16 they shut the only entrance to Coryton oil refinery in Essex, UK with the aim of highlighting the issues of climate change and the burning of fossil fuels. The blockade meant that a great number of trucks with oil were not able to leave the refinary during the day of action.